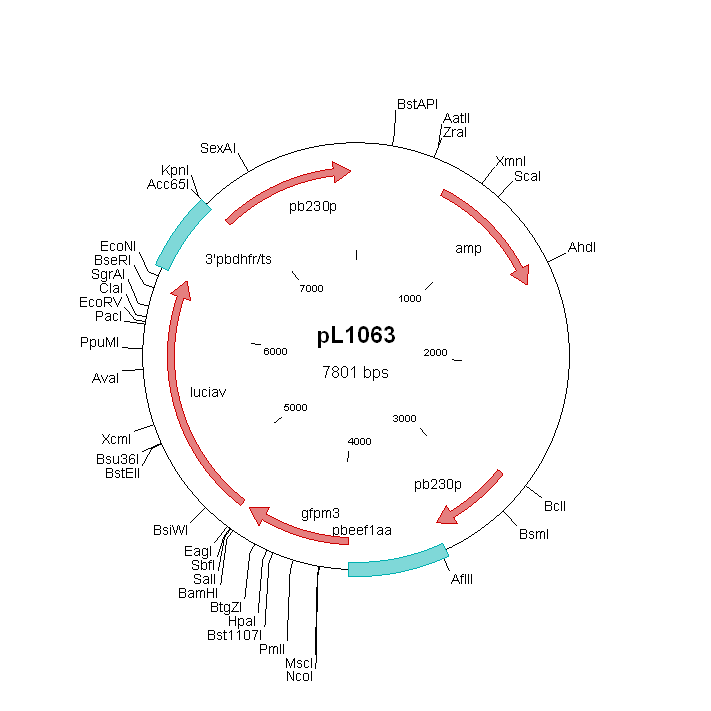 Other information parent line 676m1cl1 (RMgm-29) is a reference ANKA mutant line which expresses GFP-luciferase under control of a constitutive promoter. This reference line does not contain a drug-selectable marker (PubMed: PMID: 16242190). 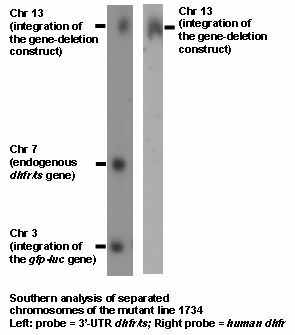 Additional remarks genetic modification The mutant was generated by disruption of the gene using a linear construct that was generated using a 2-step, anchor tagging PCR method (for primer details see below). The 5’- and 3’ targeting regions of the gene were PCR amplified from genomic DNA using primer pairs 1&2 and 3&4. Primers 2 and 3 have 5’-terminal extensions homologues to the hDHFR selectable marker cassette. Primers 1 and 4 both have a 5’-terminal overhang with an anchor-tag which serves as a primer site in the 2nd PCR reaction. The target fragments from the first PCR reaction were annealed to either side of the selectable marker cassette by PCR with anchor-tag primers 5 and 6, resulting in the 2nd PCR product. The hDHFR selectable marker cassette used in this reaction was digested from pL0040 using restriction enzymes XhoI and NotI. pL0040 is available from The Leiden Malaria Research Group. To remove the anchor-tags from the final KO construct, and to eliminate contaminating pL0040, the 2nd PCR product was digested with Asp718/ScaI and DpnI respectively. DpnI only cuts methylated plasmid DNA but not the PCR product. Additional remarks selection procedure This reporter mutant expressing GFP-Luciferase does not contain a drug-selectable marker. This mutant has been selected by FACS sorting after transfection based on GFP fluorescence.